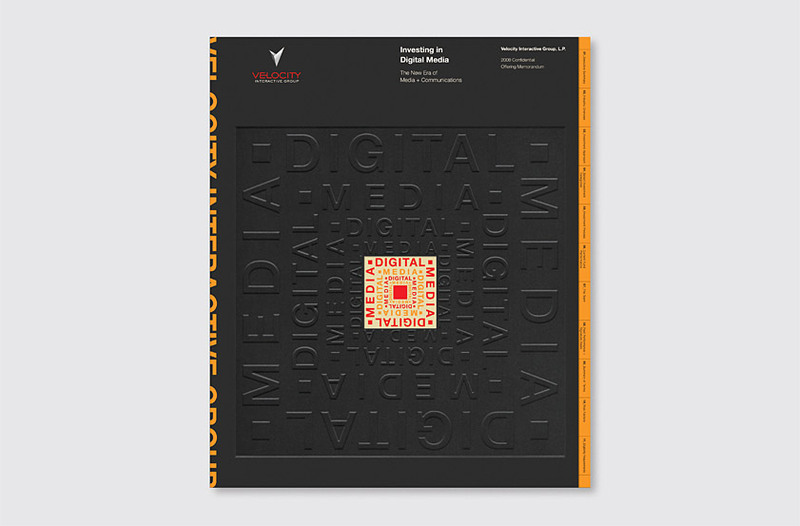 Velocity Interactive Group is a leading venture capital firm investing exclusively in Digital Media companies. 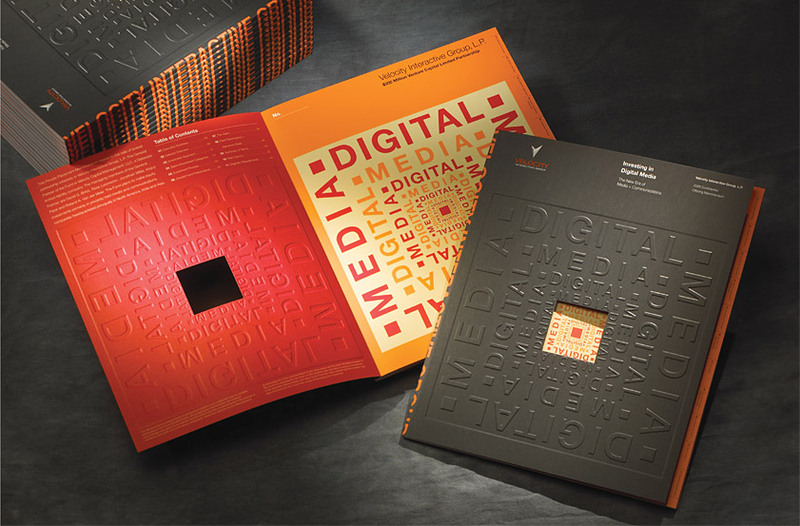 Our solution uses a black, embossed die-cut cover to suggest a window of opportunity within Digital Media. The cover opens to reveal a colorful title page of the full design. 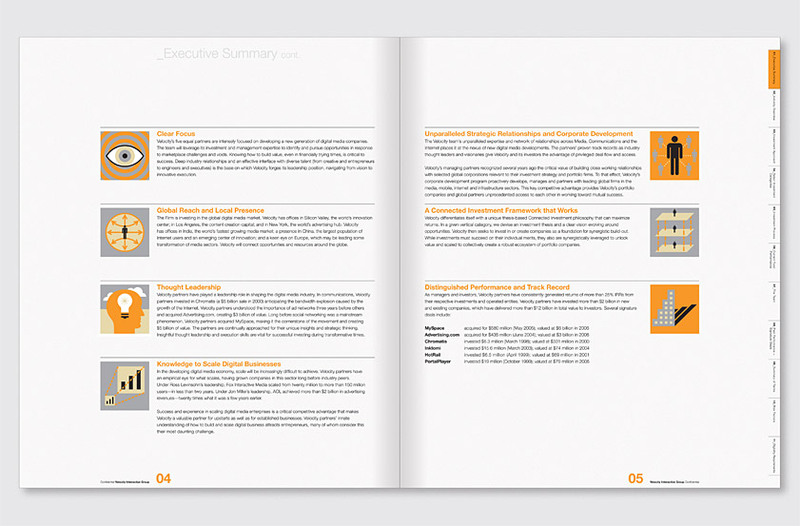 Brightly-colored orange tabs aid navigation within the book. 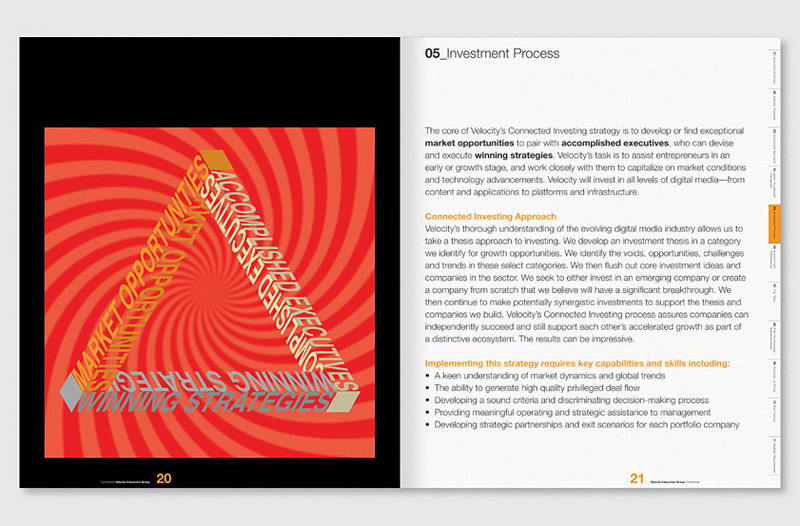 Bold, Op Art-inspired typographic divider pages incorporate the company’s content as a metaphor for the company’s expertise in distinguishing signal from noise, examining investments in a new way, and seeking out successful strategies for growth in Digital Media. 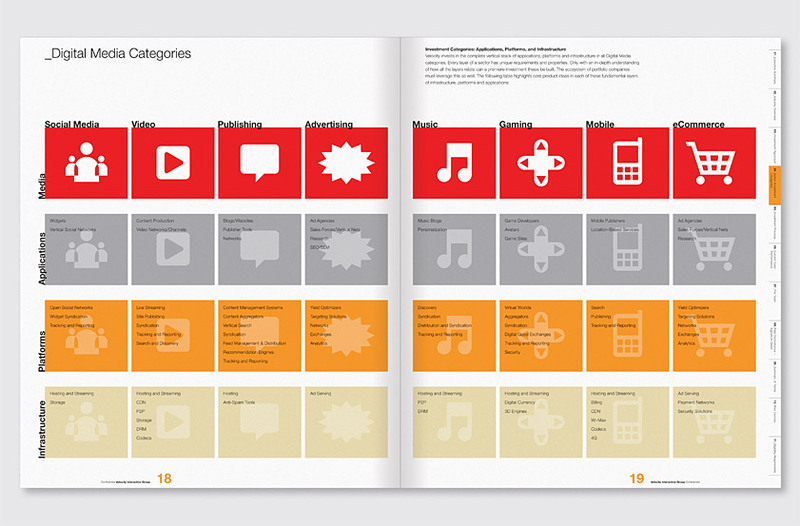 The opening divider page introduces the opportunities in Digital Media created by the global convergence of media, communications, and the Internet. 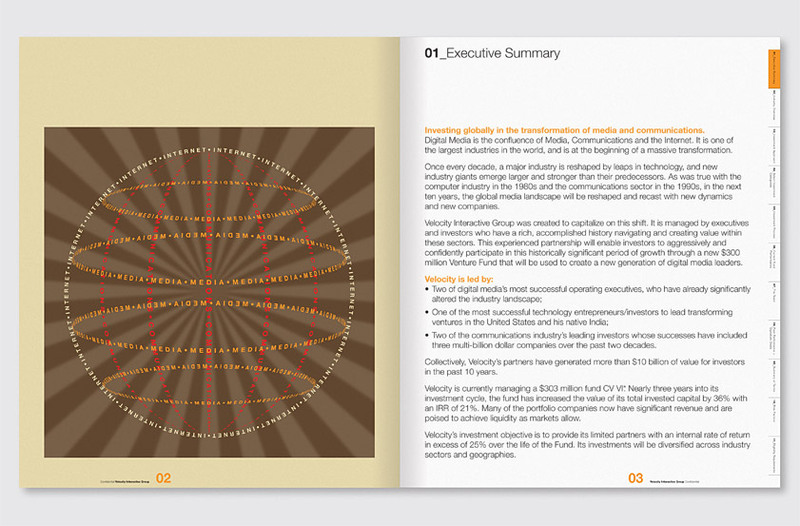 An easy-to-read chart lays out the firm’s multi-platform approach to investing in Digital Media. 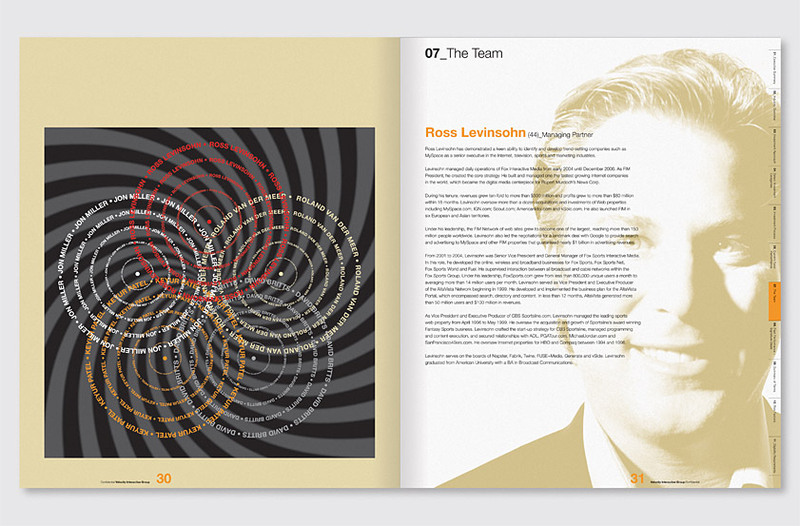 The Team divider page uses overlapping concentric circles to emphasize the depth of each partner’s experience and their interactive team approach to targeting successful investment opportunities. The presentation was successful in solidifying Velocity Interactive Group’s influence within the Digital Media investment community.